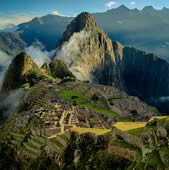 Amazing Peru is the #1 helicopter touring company for Peru and Latin America. If you're looking for the adventure of a lifetime that you and your family will remember forever - give us a call! You won't be disappointed. Book one of our incredible Helicopter thrill experiences! 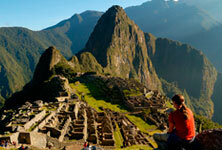 From Flights over Machu Picchu to the Amazon rainforest overflight, we have the perfect flight experience. 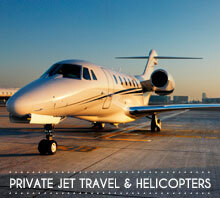 An exciting and visually amazing helicopter flight is the perfect experience. Give the highflyer in your life an amazing experience that they will remember for the rest of their life. So let's help you find a helicopter experience that will make the ideal flight experience! 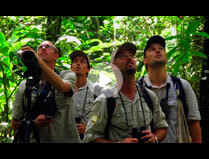 A day tour over the Amazon Rainforest with fabulous views of the Amazon River, departing from Lima or Iquitos airport. The tour will include a landing in an appropriate area to explore some aspects of the great Amazon on foot. Fly over the Amazon Rainforest and colossal Amazon River before transferring to a seaplane, a Viking twin otter to land on an Amazon lake. Here you will then be able to swim, birdwatch and fish from your own private seaplane. Enjoy lunch onboard a luxury Amazon cruiser before returning to your helicopter. A day tour over two of the deepest canyons in the world, the Colca and Cotahuasi canyons. Departing from Arequipa airport, the tour will include landing in the canyons with an opportunity to explore on foot. A day tour over the Andean Mountain range and glaciers of the Cordillera Blanca Mountain Range, such as the Gueshgue glacier. The Cordillera is the source of 70% of the world's tropical glaciers and the tour will include landing close to the glacier with an opportunity to explore on foot. A day tour over the amazing rainbow mountain or 7 colour mountain of Ausangate. This spectacular rock formation of many colours formed when ice that used to cover the area melted and the water mixed with minerals in the ground, turning the earth into many colours. The tour will include landing close to the mountain with an opportunity to explore on foot. A day tour flight over the amazing Gocta waterfalls. With a drop of 771 meters, it is one of the tallest waterfalls in the world. The tour will include landing close allowing for an adventurous trek to reach the pool below the waterfall by crossing an extensive valley of rainforest that surround it. Alternatively for the really adventurous, why not abseil down the waterfalls. 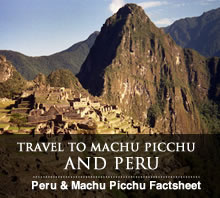 After the trip, the tour will continue to Kuelap, regarded as the Machu Picchu of the north but without the crowds. This ancient archaeological site is pre-Inca and the remnants of a massive fortress. 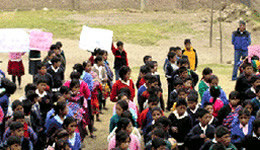 Land close by to explore on foot before returning to Lima.